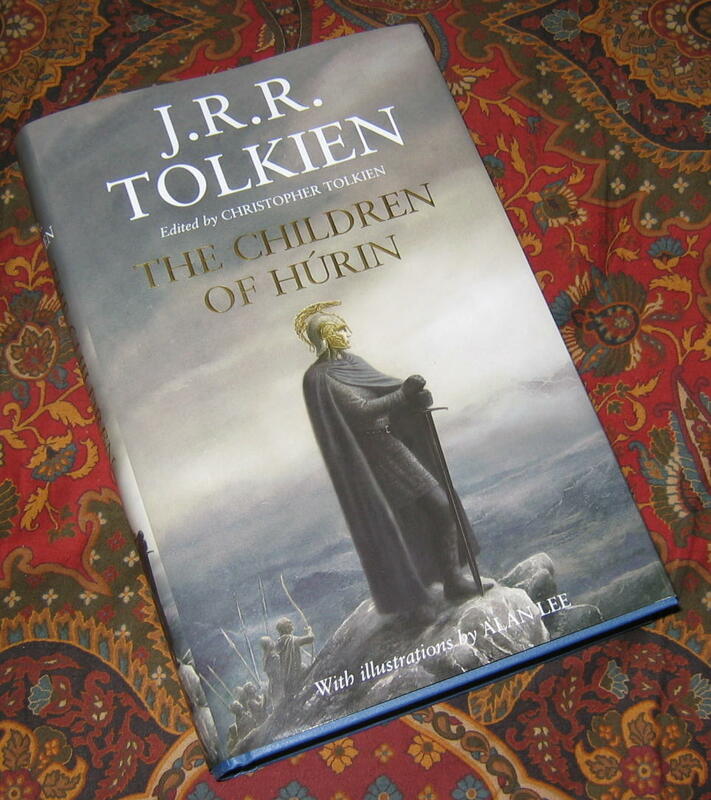 The Children of Hurin by J.R.R. 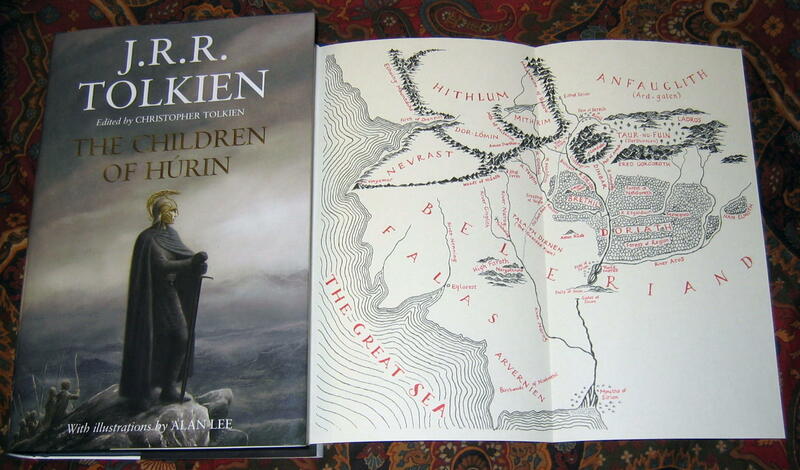 Tolkien, published April 2007 by Houghton Mifflin. This book includes the bookmark and a copy of the receipt from the Barnes & Noble at the New York City release. 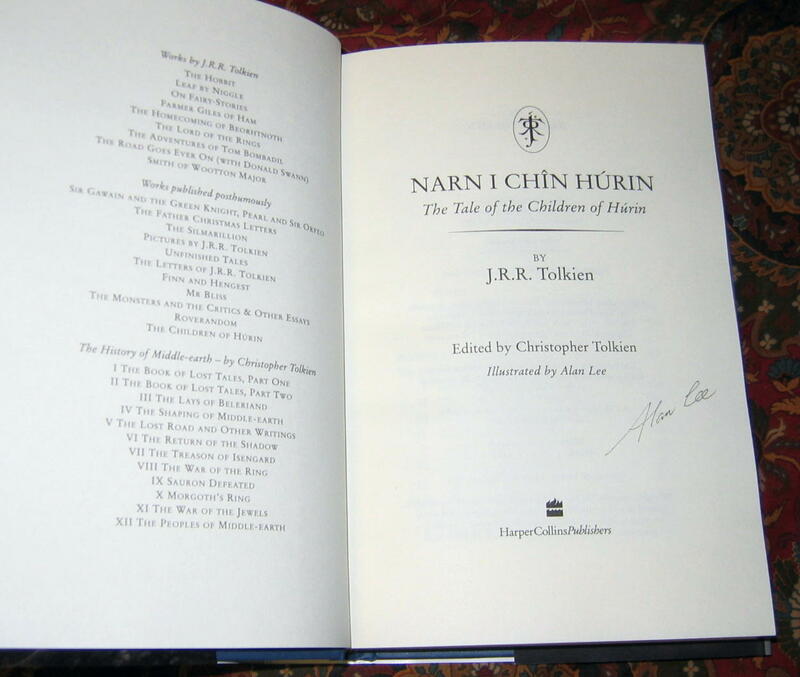 Signed by the editor and illustrator, Christopher Tolkien and Alan Lee, to a special bookplate, featuring Lee's motif of the Helm of Hador, attached to the Half Title page. 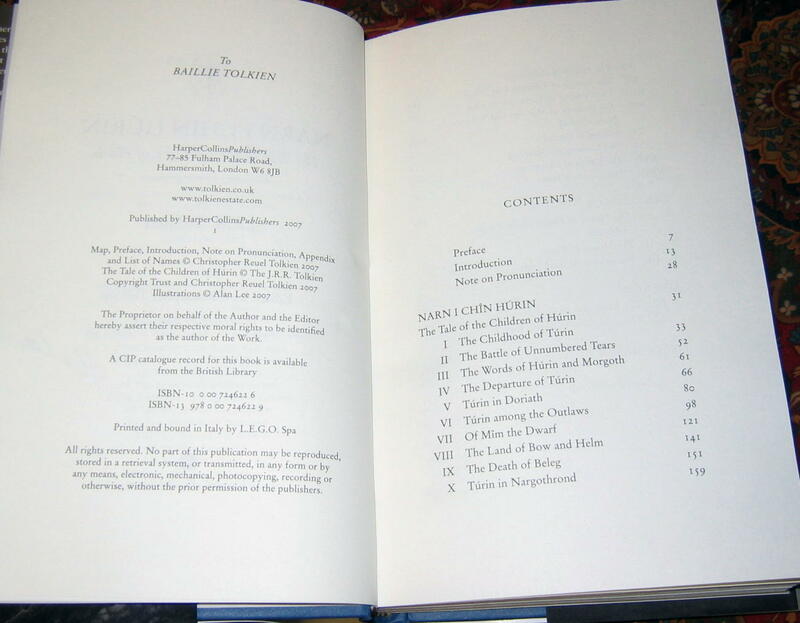 This edition has already sold out and only later editions are now available. 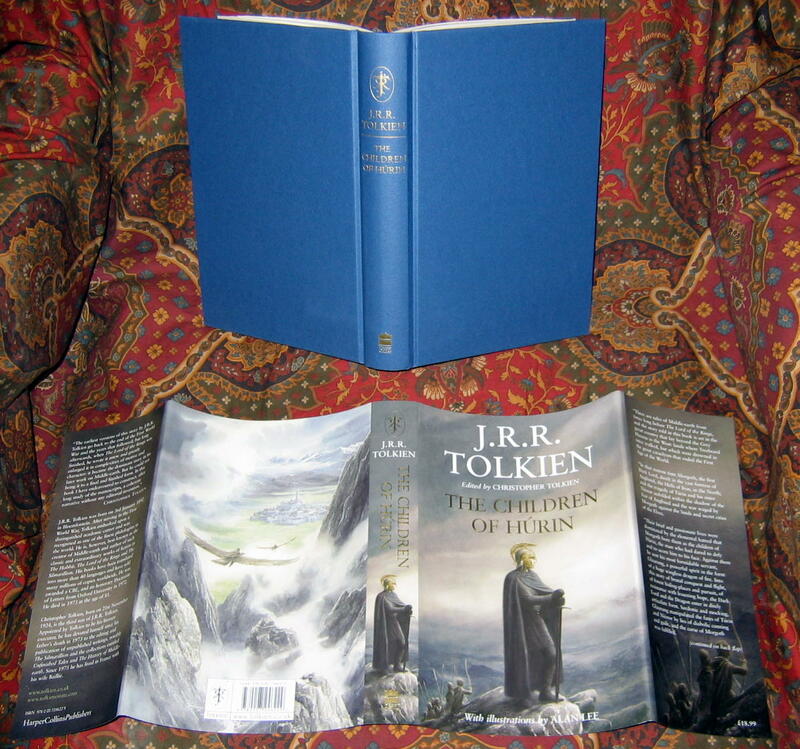 With Houghton Mifflin wishing to reach out and do something special for the loyal Tolkien fans, along with Christopher Tolkien's reluctance to grant public appearances, they conceived the idea for a signed bookplate, which Christopher Tolkien and Alan Lee both agreed to. It seems approximately 600 bookplates were signed, 450 for the release party at the New York City Barnes and Noble, and 50 for the UK, with the remainder held for other promotions. 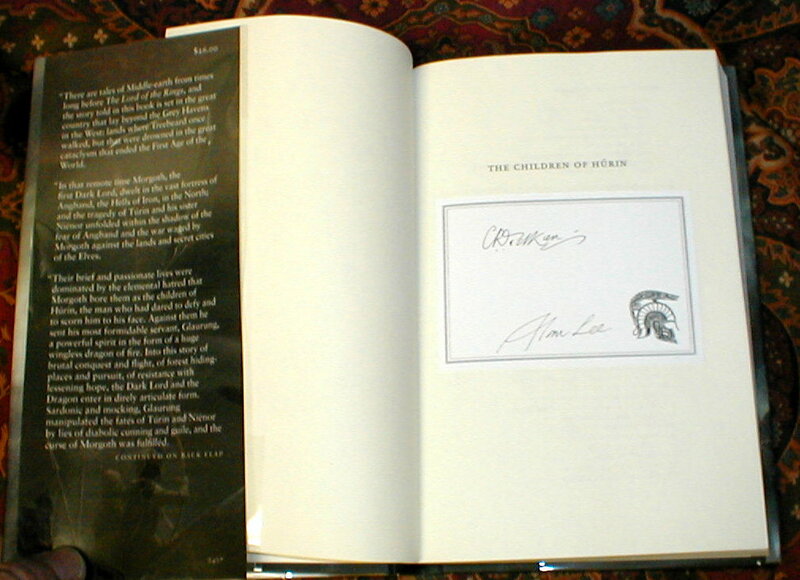 A very hard to find edition, with the signed bookplate. Don't expect to see many of these for sale, as most will end up in private collections. Signed by Illustrator & Editor. 1st Edition. Hard Cover. As New/with Jacket, as Issued. Illus. 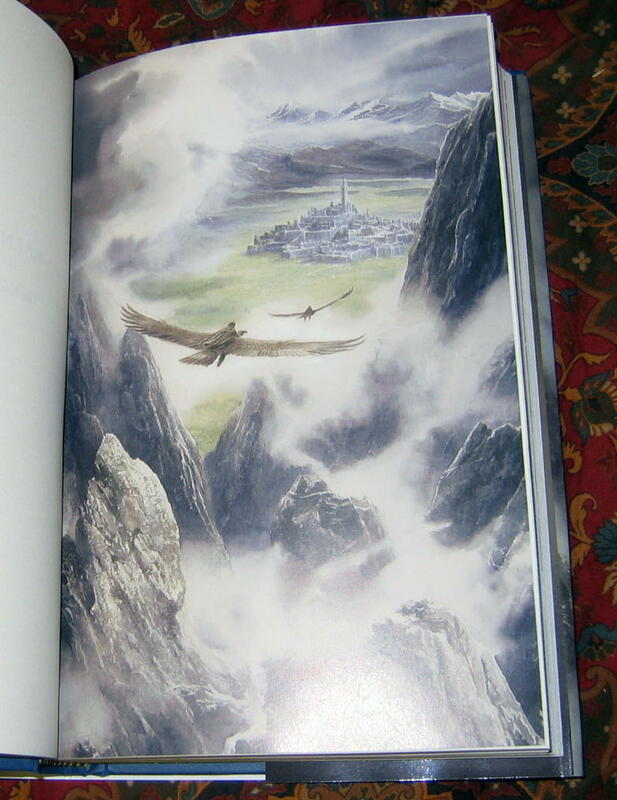 by Alan Lee. 8vo - over 7≤" - 9≤" tall.